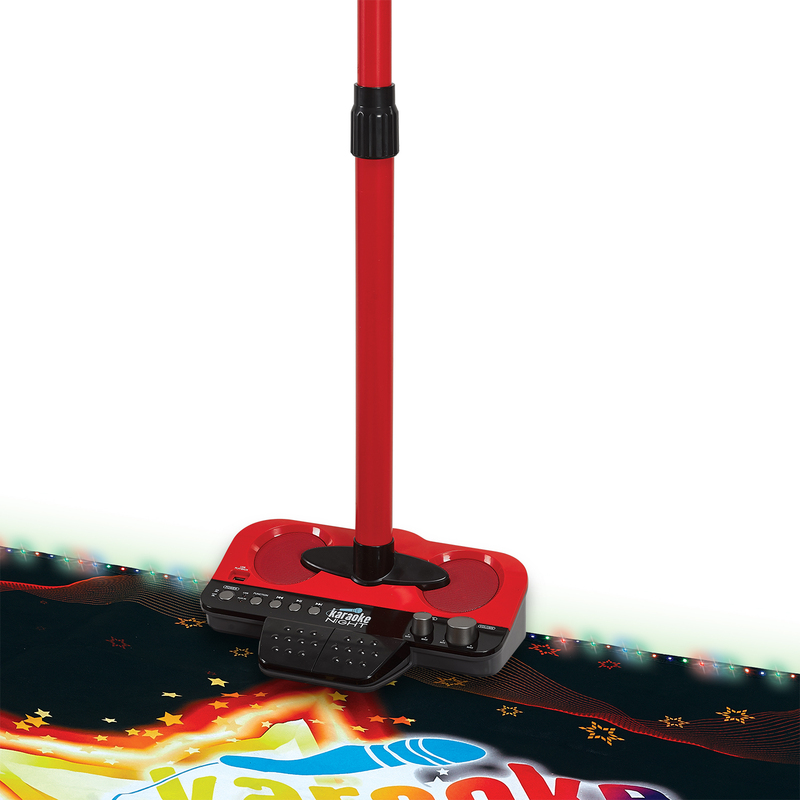 What is more fun that a great karaoke party? Kids love to dance with the music and sing along with their favorite tunes. A good karaoke party makes you feel like you’re on a hit reality show or like your singing with your favorite pop star. 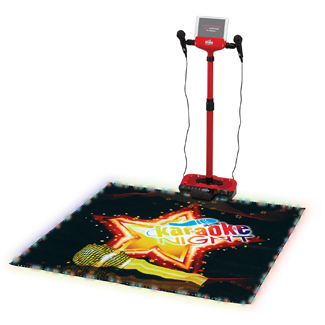 The Karaoke Night Karaoke Machine with Lighted Stage Mat puts your kids party right in the middle of the action. LED lights on all four sides of the mat with two modes of light show will make kids feel like they are on center stage. This amazing set includes two microphones and expandable microphone stand. Microphones are fully adjustable for volume. 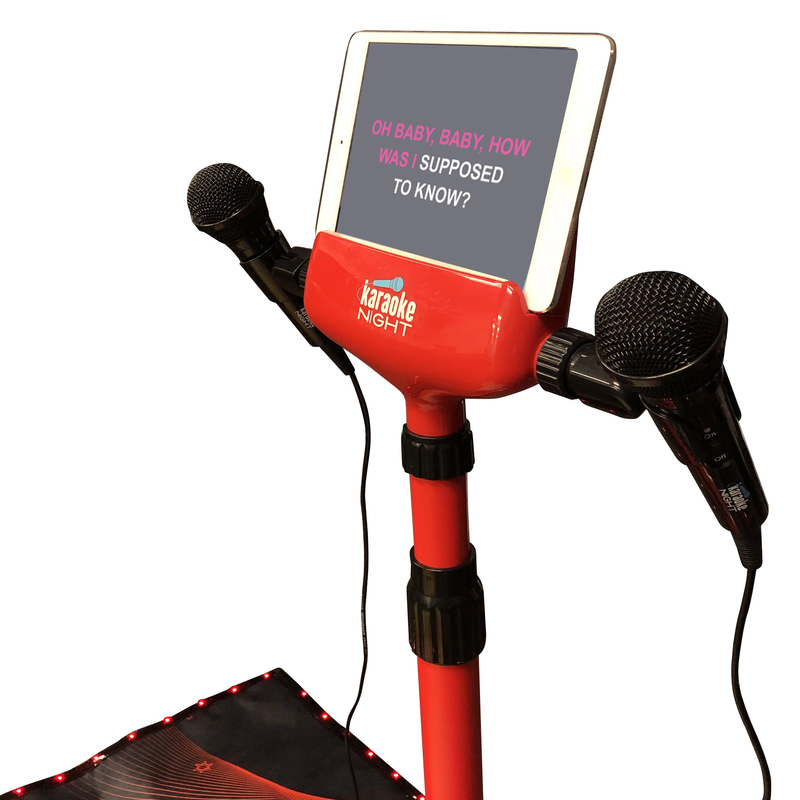 This set also features an auxiliary input jack and cable to connect any CD player, MP3 player, tablet or smartphone including the iPhone, iPad or Samsung Galaxy for downloading literally thousands of karaoke songs. In addition, there is a USB port for playing back MP3 karaoke songs. 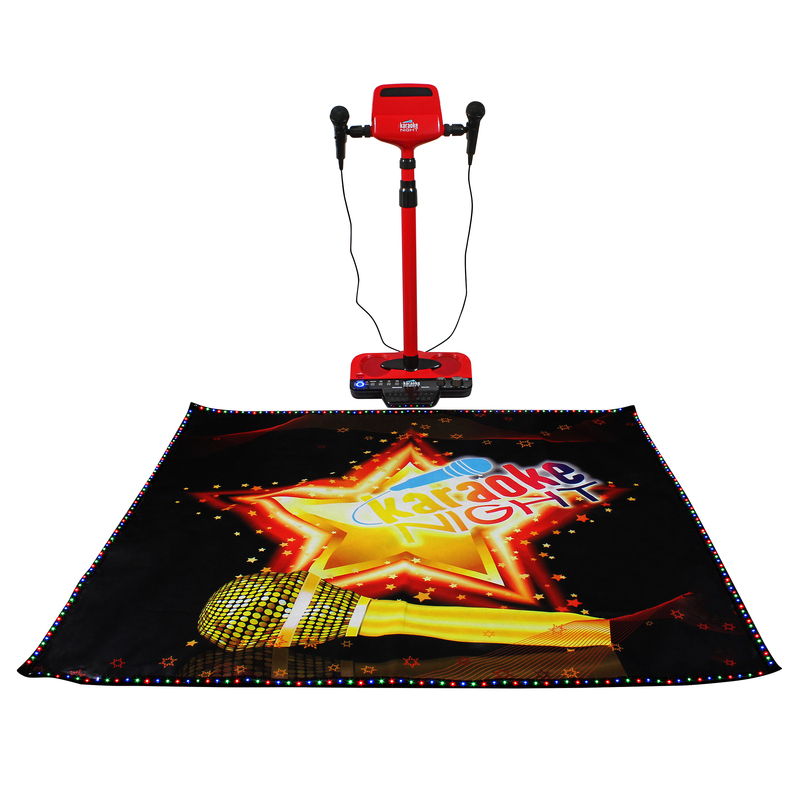 Youngsters will have hours of fun with this karaoke machine with lighted stage mat designed specifically for kids. 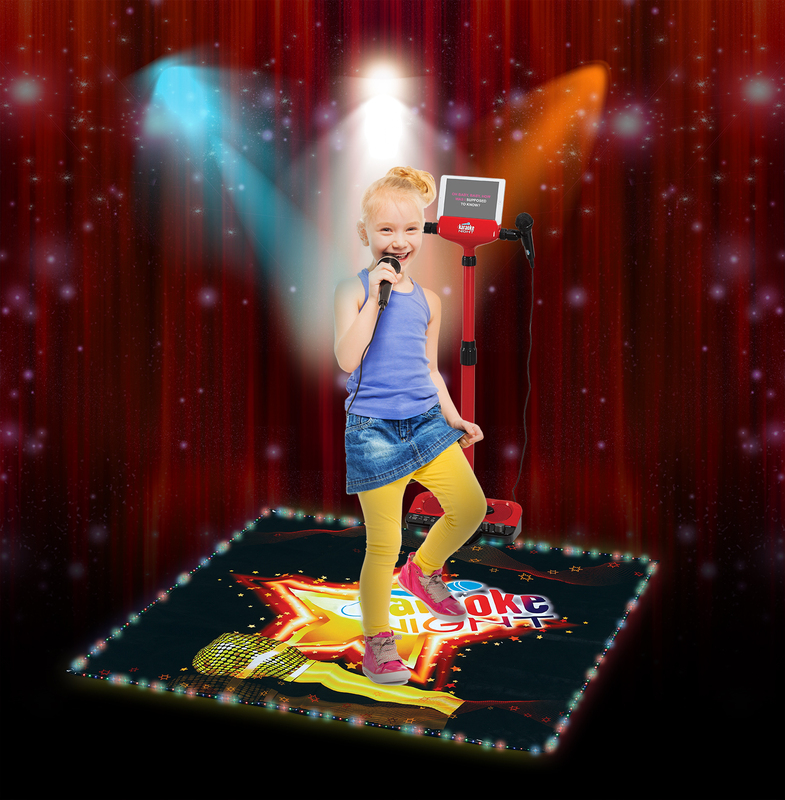 To add to the excitement, this unit includes three different dance beats and two applause sound effects so kids feel like they are real rock stars. Made of durable plastic, this set can handle even the toughest use. Make your child’s next party unforgettable. The Karaoke Night Karaoke Machine with Lighted Stage Mat will provide endless fun and memorable performances for kids of all ages.